An axe is a popular and useful tool for bushcraft and is generally used for cutting, splitting and shaping wood. But before you rush out and get one for your kit, do bear in mind that not all axes are the same, so here is our advice for what to look for in a bushcraft axe. 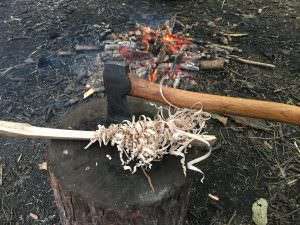 You need to begin by deciding what type of bushcraft axe you need as you have a choice between a general duty axe which is good for most tasks like chopping and carving, and then the bigger more tougher axes, often called a splitting maul, which are more capable of splitting large logs. The hatchet is an axe that has a shorter shaft and is smaller and lighter in weight, making it a good choice for smaller bushcraft tasks and trekking. There are different axes available for different jobs. A cutting axe and a splitting axe for example. When you look at its profile, a cutting axe is thin which gives it the maximum force on a low surface area and severs what it cuts across. Axes that are better used for splitting have a wider angle with a wedge like action which will force the log apart. For general woodland purposes, a rounded bit is more versatile. If you are very tall then you may find that you benefit from an axe with a long shaft handle as you will probably find it much better to use. If you will be sharing your axe then it’s worth remembering that a longer handle may be awkward to use for someone that is much shorter. You are a brave person if you start sharing your tools though, as no one will look after your axe quite as well as you! It might sound obvious but it is worth keeping in mind how you will be carrying the axe when you are out in the woods. You will probably want it to fit in your rucksack so think about that when you making your choice. You should also make sure that it has a leather sheath or axe mask with it. You will need the axe to last and to be able to stand up to tough use, so choose wisely and do your research. Look for a good sized chopping head of 3 1/4”. A good quality axe should cut through a 6″ diameter timber with ease so its edge should be able to hold its sharpness. But before investing in a new axe, make sure you pick it up and hold it to see how it feels in your hands. You will want it to be comfortable to hold and easy to handle as it is likely to come a key part of your kit out in the woods. To really get to grips with using your bushcraft axe safely and effectively, sign up to our bushcraft axe skills and charcoal making weekend course, ideal for anyone who wants to become competent in using an axe, whether a beginner or more experienced but would like to hone existing skills. For more tips about what to take with you when out in the woods, see our list of top 10 buschraft items. 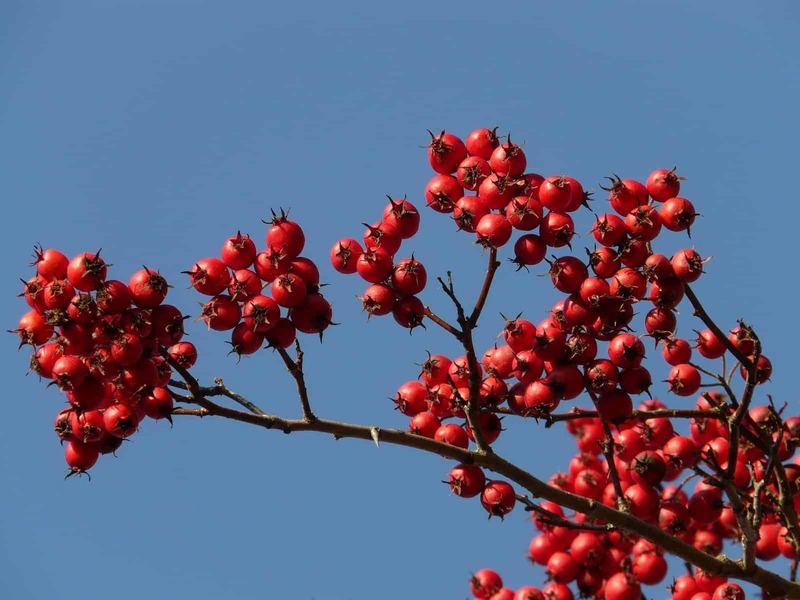 Whether you are new to bushcraft or already have experience, there is a Wildway Bushcraft course for you. We hope to see you out in the woods very soon. What length handle is good for an all purpose wilderness axe? 34cm? 48cm? You want to be looking at around the 49cm mark. Anything smaller and you are venturing into Hatchet territory.